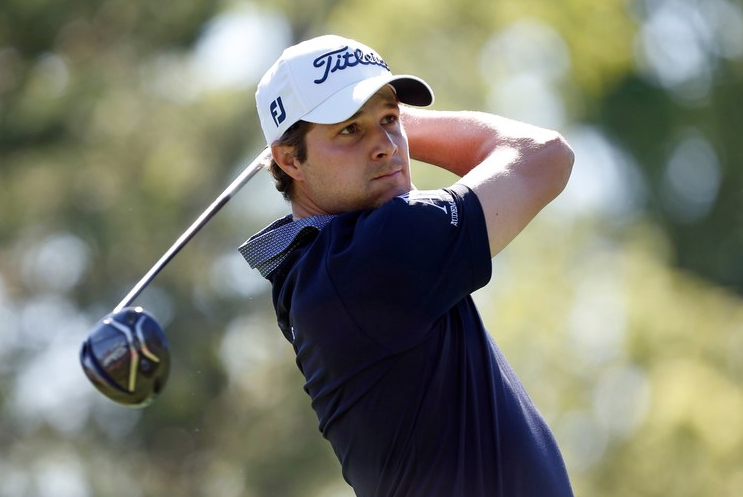 Peter Uihlein is easily one of the most talented American golfers that the average sports fan doesn’t know. One of the country’s best collegiate talents at Oklahoma State, he chose to start his professional career across the pond on the European Tour. He was a “rookie” on the PGA Tour last season at 28 years old but has just as much talent as anyone. He shot a 63 that included 9 birdies on Thursday and is ready to show the United States that he is one of the best in the world. Just one shot back of Uihlein is PGA Tour rookie Seth Reeves. The Georgia Tech product played the last two seasons on the Web.com Tour before earning his card this fall. The lanky Atlanta native is known for his length off the tee and it showed on Thursday as he leads the field in strokes gained off the tee. Jordan Spieth and Bryson DeChambeau got their weeks off to a good start with matching 67s. Spieth is looking to bounce back after a lackluster year while Bryson looks to build on the momentum he created for himself in 2018. Bryson also made news off the course. In an article by Dylan Dethier of Golf.com, Bryson announced his plans for putting with the flagstick in. When it’s fiberglass, he will leave it in; when it’s not, it will come out. Particularly rough news for pace of play and caddies in DeChambeau’s group. A pair of Mexican-born players, Abraham Ancer and Jose de Jesus Rodriguez, fired opening 67s on Thursday. Ancer has been playing some great golf lately, and de Jesus Rodriguez is one of the more intriguing Web graduates. It would be great to see one or both of these guys play well early this year and qualify for the WGC in Mexico City. Former UNLV team member and All-American Shintaro Ban was granted a sponsor’s exemption this week but struggled to an opening 76 on Thursday. Ban was one of the best collegiate talents last season and made his professional debut this week. Keep an eye on this kid as he plays in professional events for the first season. Former FedExCup #1 Kevin Tway sits at T12 after an opening 68. To spruce up our recent article, we added a new video that details the brilliant strategy behind the short par-4 5th at Sweetens Cove. Read our full post on strategy and watch the video here. The Auburn Tigers men and the USC women won the East Lake Cup on Wednesday.